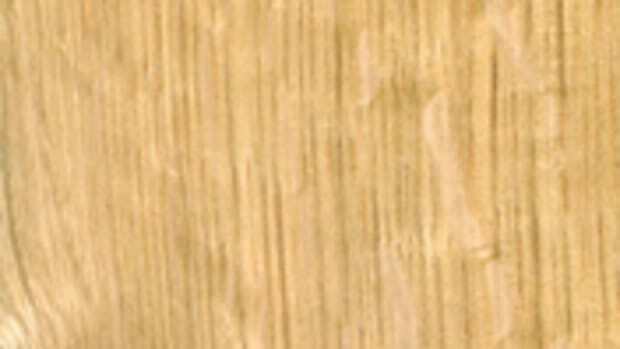 As domestic wood species go, white oak has remained among the strongest and steadiest sellers. And for retail sellers, in a continuing depressed wood market, a consistent seller is just fine. "White oak is a hot commodity," says Dave Harris of Parkerville Wood Products in Manchester, Conn. "I&apos;ve always liked it and it is really popular. We&apos;ve gotten hooked up with marine plywood and along with that comes the white oak, so we&apos;re selling quite a bit of it. I&apos;m not sure if I understand totally why, but we are extremely busy with white oak. We&apos;re also using it quite a bit in manufacturing." White oak&apos;s specific gravity: .60. Specific gravity is the ratio of the density of a substance to the density of water. White oak&apos;s radial shrinkage: 5.6 percent. Radial or quartersawn boards have a grain running roughly perpendicular to the wide faces. White oak&apos;s tangential shrinkage: 10.5 percent. Tangential or flatsawn boards have grain running roughly parallel to the wide faces. 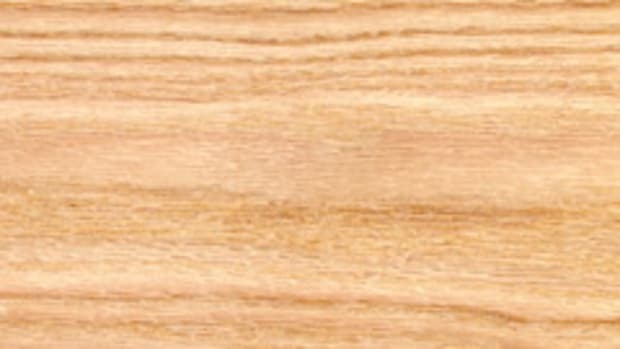 Example: A 12" wide flatsawn white oak board will shrink .265" (about 1/4) from 12 percent moisture content to 6 percent and a quartersawn board will shrink .141" (about 5/32"). "There are probably more calls for marine applications than anything else, but everything should be moving faster," says Steve Flynn of Maine Coast Lumber in York, Maine. "We&apos;re moving more rift white oak lumber than we&apos;re moving flatsawn right now. We sell plywood first and foremost here; if lumber goes along with 10 sheets of plywood, then it is more for face frames and things like that." White oak (Quercus alba) grows from eastern Canada, south to Florida and Texas and throughout the Midwest. The tree reaches heights of up to 120&apos; with a trunk diameter of 2&apos; to 3&apos;. 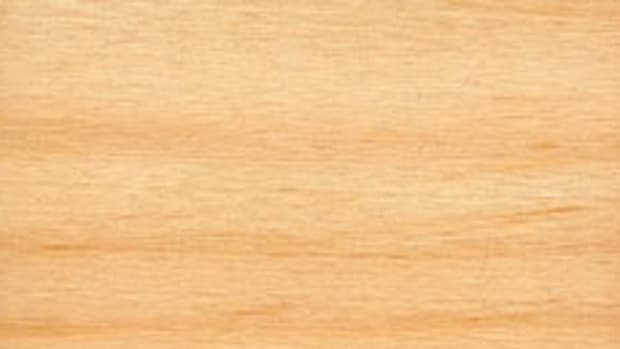 The narrow sapwood is white to light brown in color, while the heartwood ranges from light to dark brown. 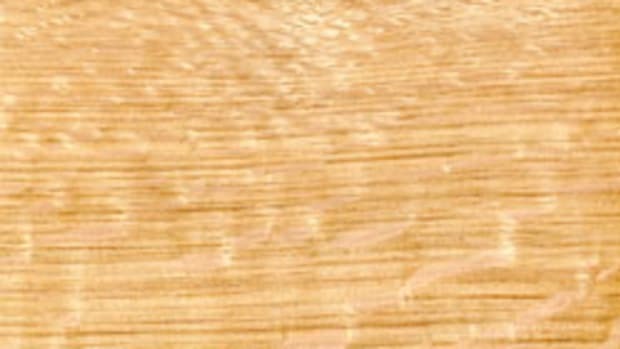 Quartersawn lumber often produces bright flake patterns that are sometimes referred to as butterfly or tiger ray. Sam Talarico, owner of Talarico Hardwoods in Mohnton, Pa., has specialized in selling old-growth white oak for nearly 40 years. Most of his white oak is now imported from forests in Germany and old European estates since the domestic supply has all but dried up. "I started the whole business with domestic white oak and then it got increasingly harder and harder to get good logs," says Talarico. "That&apos;s why I had to go to Europe. If I could get Quercus alba like we used to have, then I wouldn&apos;t even have to go to Europe, but it is better wood." 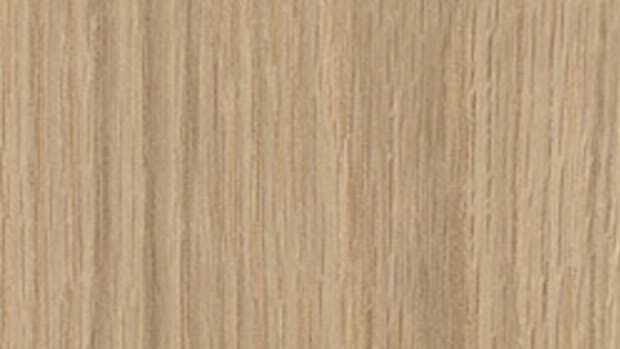 White oak has a course texture, is usually straight-grained, heavy, strong and durable, and has a specific gravity of .60. Generally, the wood is easy to work with. It dries fairly slowly and may occasionally check or crack. "The walk-in guys are probably a combination of 50/50 furniture makers and cabinetmakers and then we do quite a bit with small contractors; we do trim and that type of thing," Harris says. "I think we probably do as much white oak as we do with red oak. 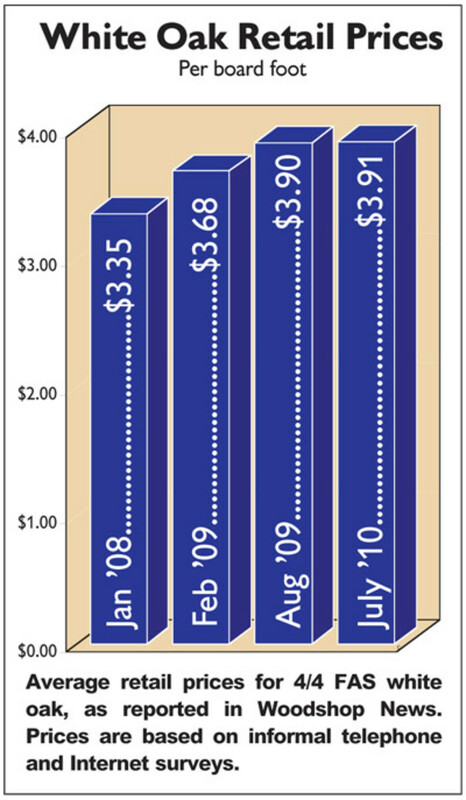 I think in general, over the years, red oak sales have gone down. But white oak didn&apos;t used to be a big seller at all and now we are probably doing as much white oak as we are with the red oak, which is still one of your top sellers." "I probably sell more quartersawn than rift, but I do sell a lot of rift, especially in the domestic stuff," says Talarico. "They want the flake because nobody is cutting the flake. The faster it grows, the less flake it gets and then the color doesn&apos;t match. I buy oak from all over the world, but Quercus alba, when it is grown properly in this country, is better than any white oak on the planet. "Rift is the vertical grain without any flake. When you start to approach flake, it isn&apos;t flake, it is comb-figured and you get these long combs at a 45-degree angle or less. When you get the real comb figure, to me that is the best. It is eloquent and beautiful. But then it gets to be past 45 degrees and then when the flake starts to get thicker, then it gets to be flake. But I make a distinction between flake and comb and rift. Flake looks like tiger stripes when it gets to be about 60 degrees. Most of the people that call for flake are furniture makers and built-in kitchen cabinetry guys. A lot of it is used for flooring, but a lot of the guys don&apos;t want to pay the price that I need to get for good flake." 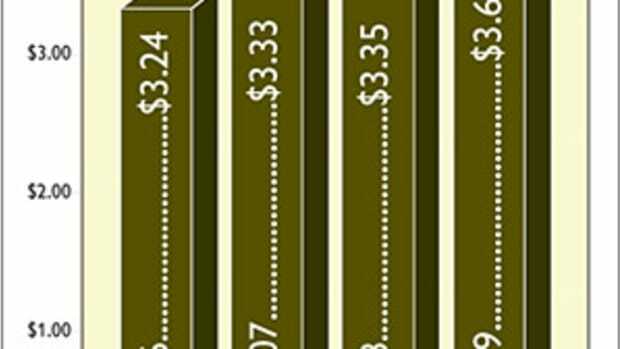 Retail prices for kiln-dried, 4/4 FAS flatsawn white oak, surfaced on two sides, ranged from $3.65 to $4.40/bf in the Northeast; $3.25 to $4/bf in the Southeast; $3.65 to $4.05/bf in the Midwest, and $3.90 to $4.30/bf in the West. 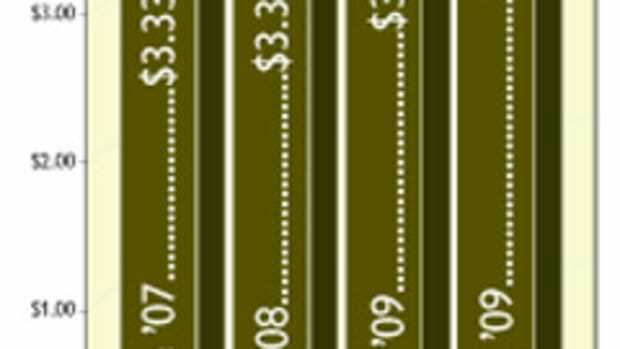 Wholesale prices for kiln-dried 4/4 FAS white oak ranged from $3,200 to $3,750/mbf in the Northeast; $3,150 to $3,500/mbf in the Southeast; $3,300 to $3,650/mbf in the Midwest and $3,650 to $3,900/mbf in the West.